There has been a lot of discussion on the Internet since MyRepublic announced its intention to be Singapore’s fourth telco. One of the biggest draw for netizens supporting MyRepublic’s effort is its promise of unlimited mobile data to its subscribers — a commodity increasingly important in this digital age. What the company needs now is participants to take part in its upcoming mobile network trial, which is free and open to everyone. According to the website, specific requirements will vary from trial to trial, but it will essentially involve participants going into the designated trial area and using their mobile devices to make calls or surf the web for a period of time. 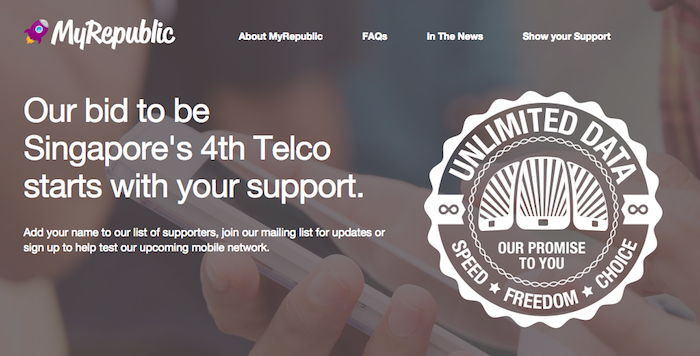 The website also reaffirms MyRepublic’s promise of unlimited data plans. Other than MyRepublic, SMRT also recently announced that it will be teaming up with local tech firm OMGTEL (OMG) in a bid to obtain Singapore’s fourth telco licence. What SMRT can bring to the table, OMG has said, is its “extensive media presence and commuter reach“. But just as we thought better data coverage in train tunnels would soon be coming to Singapore, in a report earlier today, SMRT’s Chief Executive Officer Desmond Kuek shared at a briefing for the transport operator’s FY2015 results that it “has no intention” of becoming the fourth telco here, and are “only in support of OMGtel in terms of their desire to bid for a fourth telco license”. As a consumer, if I had to choose between MyRepublic and OMGTEL-SMRT, I would definitely go for the former. 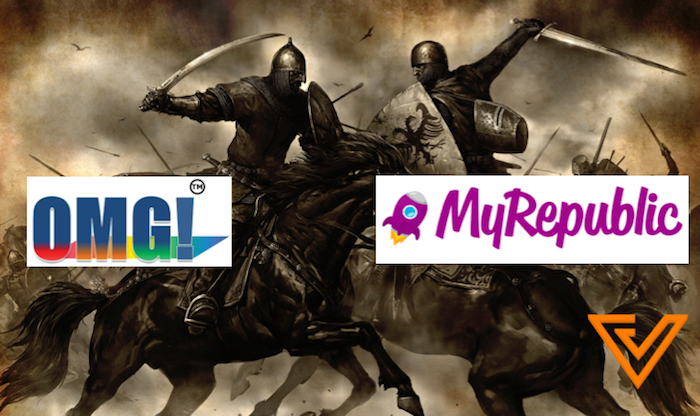 For one, MyRepublic is more well known among Singaporeans, and has had the track record of delivering on its free 1Gbps broadband plan to households and offices. I am not as familiar with OMGTEL for now, and that remark by SMRT’s CEO certainly did not help as well. 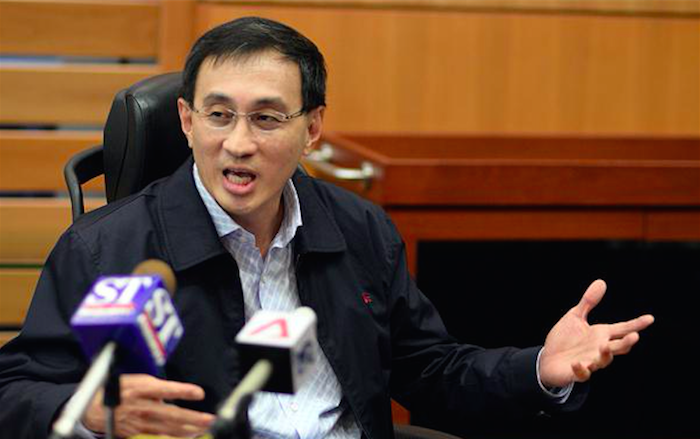 However, we shouldn’t discount OMGTEL just yet: it recently announced a newly-appointed advisory board — which includes former Foreign Affairs Minister George Yeo, former Commissioner of the Singapore Police Force Khoo Boon Hui, as well as former Deputy CEO of the Media Development Authority Michael Yap — which aims to guide the management and help it avoid making the mistakes made earlier by others. Expertise Neither has direct expertise in building a full telco network.